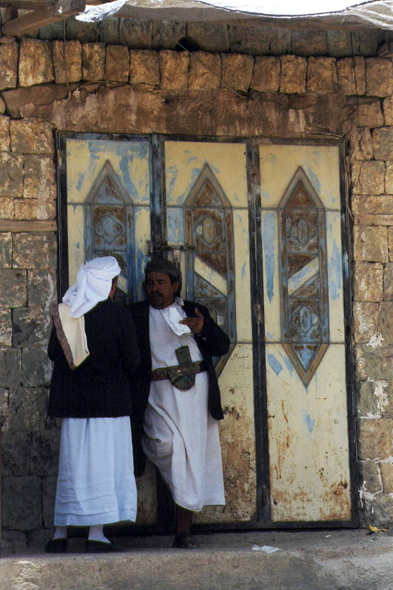 Conversation in front of a door of a house, in Manakha. Each region with its quite particular style of external decoration. In addition to building materials used (stone, earthenware brick, cob), various decorative elements are combined, walls, doors and windows being each one pretexts to the ornamentation.